A/N: I received several items to review for this gift guide, however, most of the items listed were thoroughly researched in order to provide an accurate overview of the products listed below. All thoughts and opinion concerning the specs and ratings are my own. Let's face it, we live in a tech savvy society. Trying to avoid technology would be like trying to avoid political commercials during an elections-- futile and ineffective. Technology has drastically improved our way of life, allowing families who are separated for the holidays to bridge the divide. It allows teachers to interact with children and their parents with a few simple clicks of the buttons. It brings together communities and families. Ultimately, it allows our society to flourish. 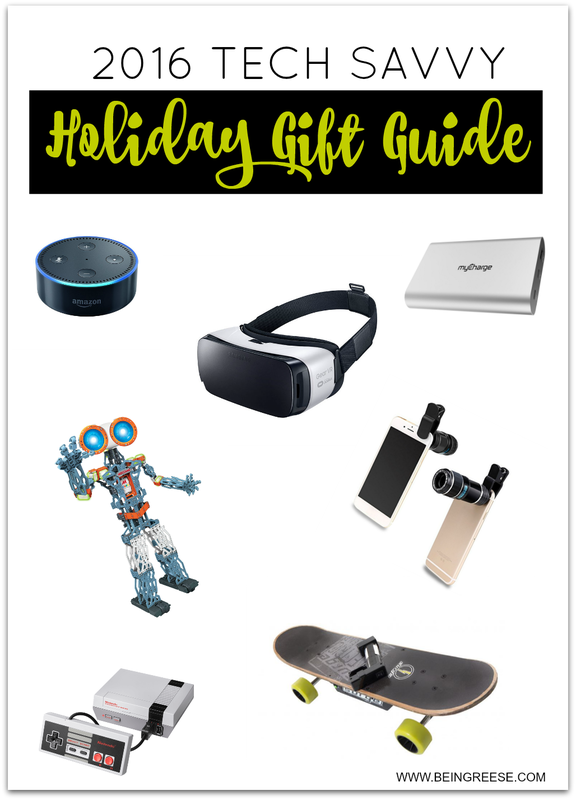 In honor of the Age of Tech, this year I'm dedicating my Holiday Gift Guide to the Tech Savvy family. 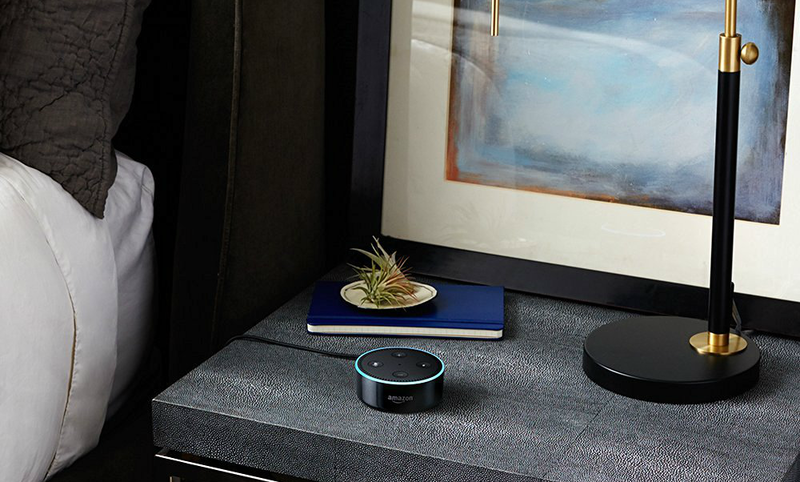 Below, you'll find some of my favorite Tech solutions for every member of the family. Merry Christmas and Happy Shopping my friends! 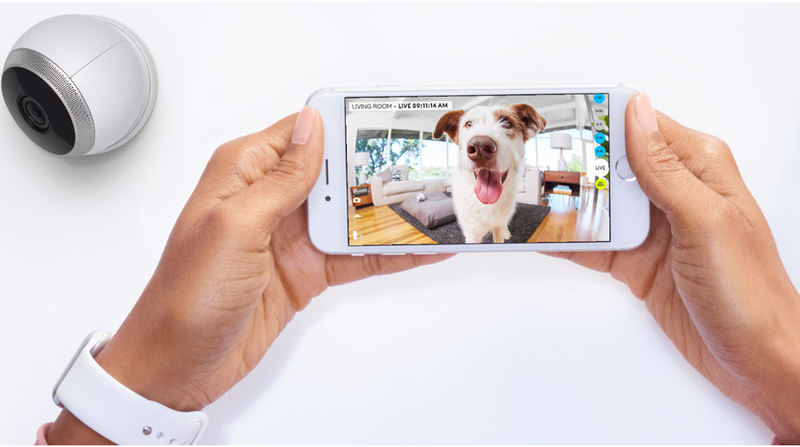 Circle Home Security Camera combined with its powerful app, delivers a comprehensive home monitoring solution that is easy to use. Logi Tech owners can watch over their home from anywhere with Circle’s innovative security features. Enjoy unlimited 1080p HD video with night vision, advanced motion filtering with smart alerts, and multi-camera connectivity. With free 24-hour and subscription cloud storage solutions, you can access surveillance footage wherever you are. 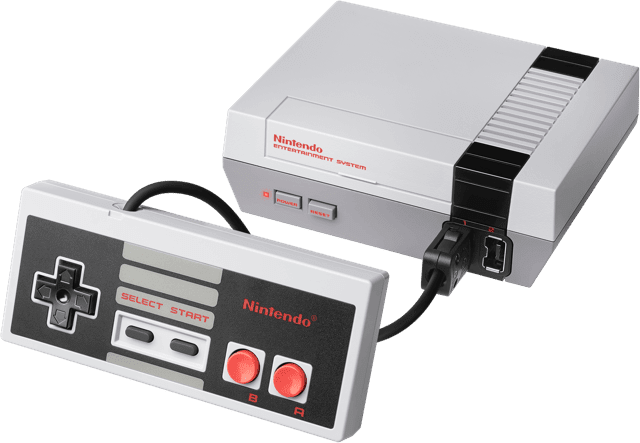 Unlike the original Nintendo, the NES system is portable and fits into the palm of your hand. 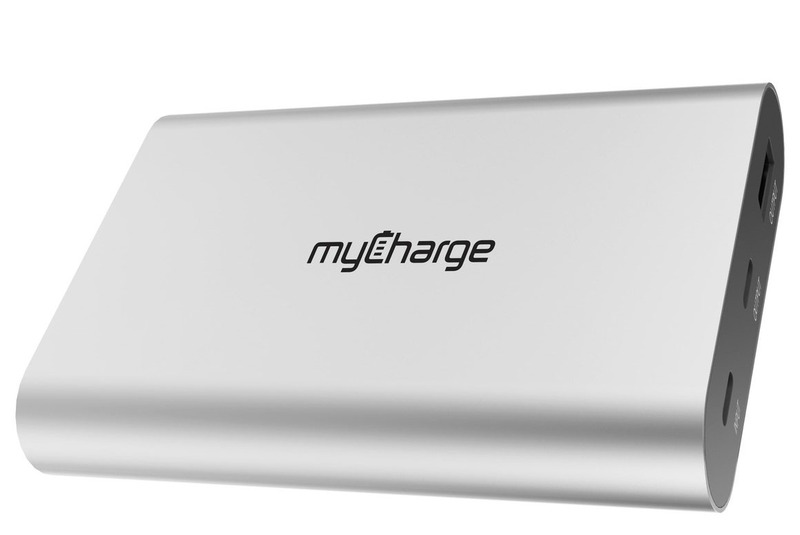 Crafted from anodized aluminum, the 13400mAh Razor Platinum is not only the most powerful portable charger in the myCharge lineup but also the only charger capable of powering a laptop. The Razor Platinum is perfect for tech savvy families who are constantly on the go and in need of a power source to keep their devices charged. Though it's categorized as a gift for dad, the myCharge Razor Platinum can be a gift or the whole family. After all, nothing is worse than being trapped on a 5 hour long road trip with with no battery to charge your devices. The Razor Platinum delivers up to 8X's extra battery and the USB-C port delivers a 36W output and is able to fully charge a MacBook in 100 minutes. Capable of charging any tablet, smartphone or other device via the RazorPlatinum's standard USB-A/C port, it is one of the fastest charging powerbanks currently available. The Razor battery maintains power for up to a year. The grillbot, is the world's first automatic grill cleaning robot! The Grillbot is here to make your life easier. Simply place the grillbot on your grill, press a button and you're done! The grillbot does all the grill cleaning for you. No more scrubbing! 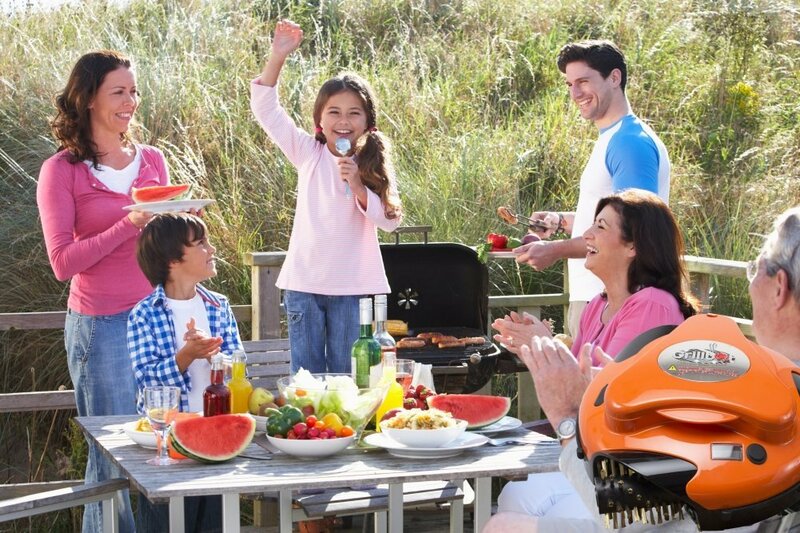 A grillbot is the easy-to-use and fun to watch — a fully-automated device that makes grill cleaning possible with just the push of a button. Built-in sensors regulate robot speed and direction, as well as grill temperature Built-in LCD alarm and timer allow you to decide on light clean or deep clean, and signals when cleaning is complete. The Braun Series 7 790cc-4 Electric Foil Shaver has the world’s only intelligent Sonic technology that automatically increases power in difficult areas. 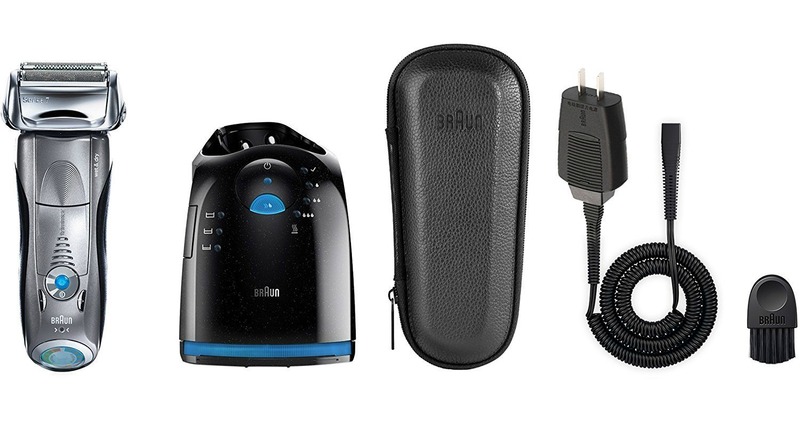 Powered by a lithium ion battery, the Braun Series 7 790cc electric shaver is the smart choice for the discerning man. Significantly gentler and more efficient than any rotary shaver, the Series 7 contours to the curves of your face with flexible blades on a fully pivoting head for maximum coverage. This electric shaver also adapts to your beard density, using up to 10,000 micro vibrations per minute when needed. With less strokes and pressure required, the results are smooth skin without the skin irritation. The electric shaver also comes with a Clean&Charge station, the world's only 5- action alcohol-based system that hygiencially cleans, charges, and lubricates the blades and shaver. . 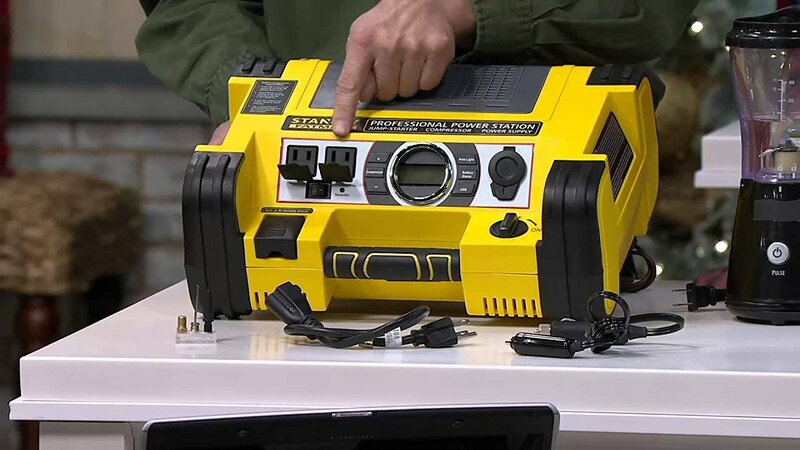 The Stanley FatMax Power Station is a portable jump starter, digital air compressor, and power supply in one. Now packed with even more power and an easy-to-read digital gauge, this versatile workhorse is an essential everyone on your list can appreciate. With the ability to help keep your small appliances running in the event of a power failure--TVs, laptops, lamps, and more--it's a smart companion for seasonal storms. And when the weather clears, you can bring it along on camping trips, tailgates, or anywhere you need a portable power source. Plus, it's a dependable roadside assistant, able to inflate your tires in a pinch and jump-start your car without the need of another vehicle. Can keep small appliances, such as laptops, TV,s fans, lamps and more running in the event of a power outage. Can also fully inflate car tires or jump start your car without assistance from another vehicle. The tile is the perfect gift for busy Moms who are always on the go and constantly have to juggle family duties. The tile allows you to ring lost items from your phone. If your Tile is within the 100-foot Bluetooth range, it will play a loud tune until you find it. Can't find your phone? Double press any one of your Tiles to make your lost phone ring—even on silent. 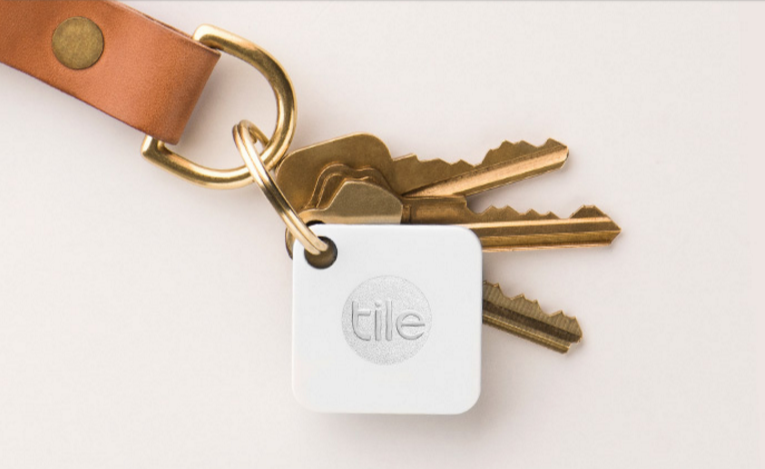 You can attach your tile to virtually anything, including, but not limited to wallets, key's, purses, electronic devices, etc. You can also share your Tiles with anyone who has the Tile app. It's perfect for shared cars, keys or bags. No more enduring the cold temperatures and freezing fingers just to run your touch screen electronics! These Missimo Supply Co gloves will keep your hands and fingertips protected from the cold, and your electronics will still be accessible! These tech gloves work with ATM's, Smartphones, iPads, GPS' and so much more! 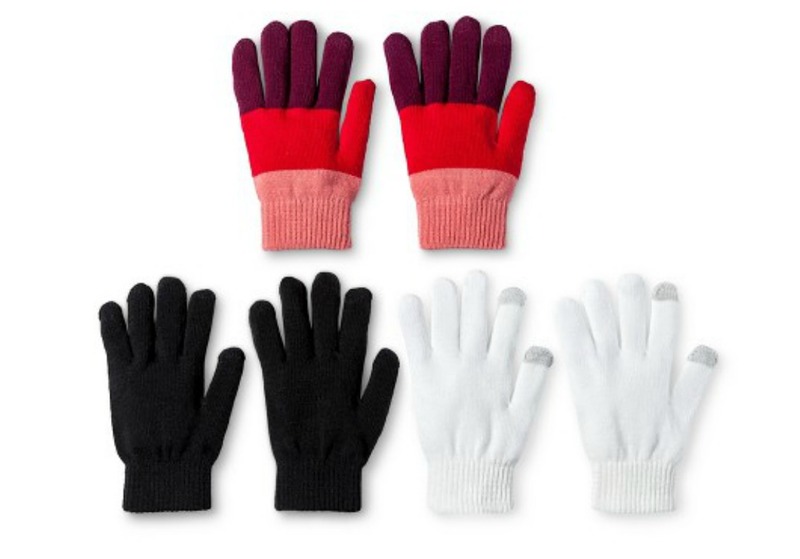 The special lady in your life will appreciate the gift of warm fingers this winter! RINGLY connects to your phone via Bluetooth, and lets you receive customized notifications through vibration and subtle light.​ Whether it's at the dinner table, out with friends, or in an important meeting, you can keep your phone tucked away and set your mind at ease. Plus, RINGLY can effortlessly track your steps, distance and calories burned without sacrificing your style. Set activity targets and receive alerts when you reach your goals. Key Features: Stylish smart rings and bracelets that connect to your bluetooth to send you custom notifications, and track your activity throughout the day. Introducing MICHAEL KORS x FUJIFILM INSTAX, a collaboration that captures the creative energy of the fashion and photography worlds in one chic, limited-edition camera. In an exclusive gold metallic hue, this Mini 70 camera features the Michael Kors logo and the designer’s signature. Ideal for the consummate jet setter, it fits perfectly in our Scout camera bag. 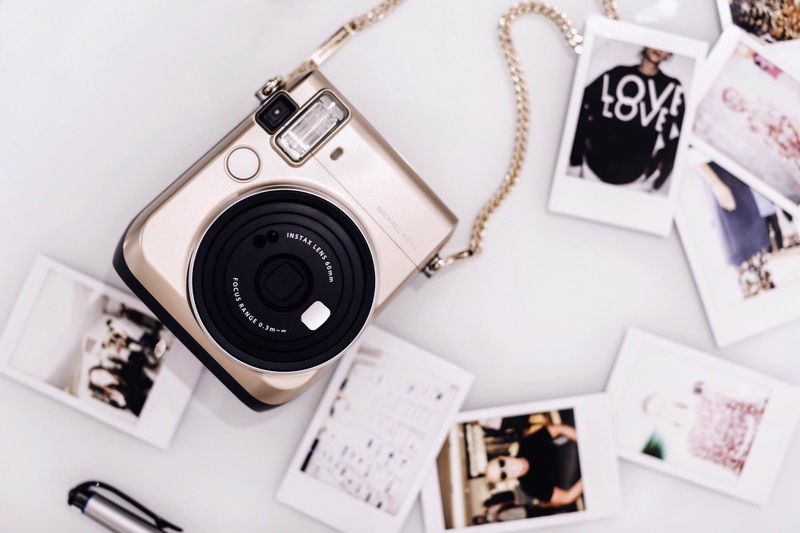 Key Features: Lightweight and stylish, the Michael Kors x Fujifilm Instax is styish and compact enough to carry with you on your most fashionable days. Picture Size: 62 mm x 46mm. Film Development Time: 90 Seconds. Key Features: With simple steps and a storybook, build your own computer and bring it to life. For ages 6+ (no technical skills required). Winners of the Family Choice Award, Webby Award, Red Dot Award, Cannes Gold Lions and more. 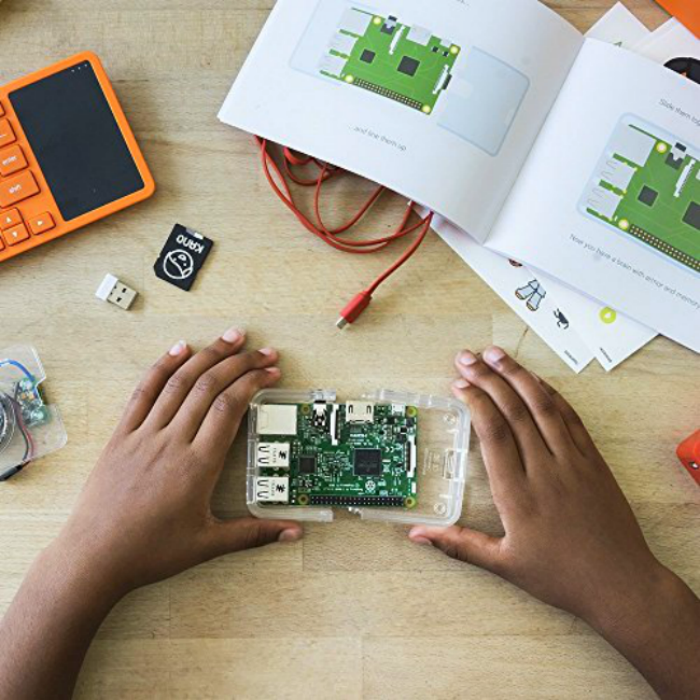 Includes Raspberry Pi 3, case, speaker, wireless keyboard, memory, HDMI and power cables, coding challenges, stickers and lots of apps Connect to any HDMI screen, or buy the Kano Screen Kit. 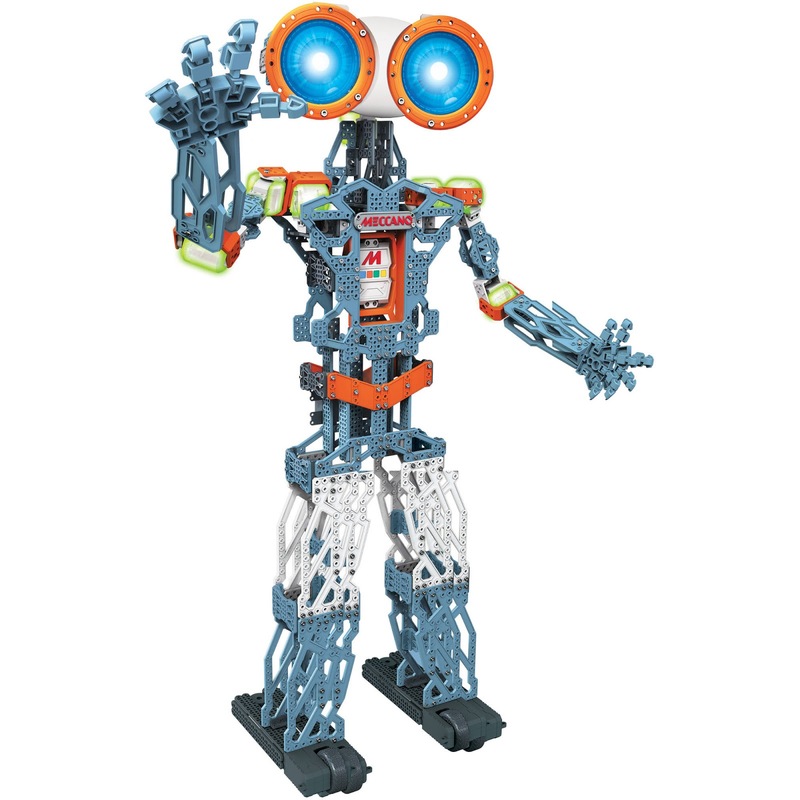 More than a toy, the Meccano Meccanoid G15KS Personal Robot uses the most advanced technology and will become your new best friend. Using over 1,100 pieces and 10 motors, you can construct a 4 foot tall real working, moving, talking robot that is full of personality, has a sense of humor, is capable of responding to instructions and even mirroring your movements. Ozobot is a powerful tiny robot that gamifies STEM and computer science learning through a collection of game based activities and digital apps. 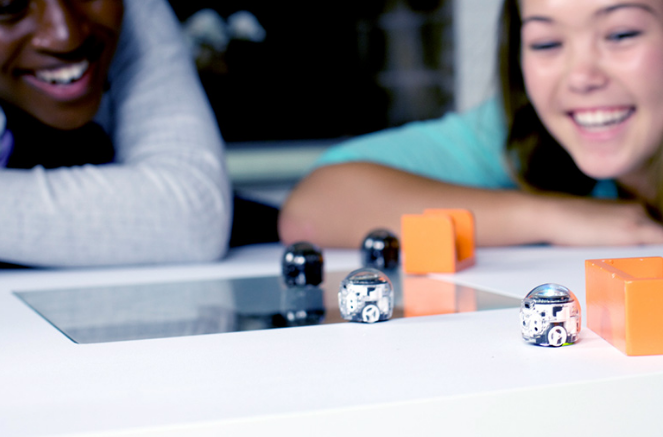 Its easy-to-understand color code language makes Ozobot the perfect choice for introducing young minds to concepts that are vital to their success in the 21st century. Instantly transform your mobile phone into an instant Telephoto Camera Lens in as easy as one, two, three. 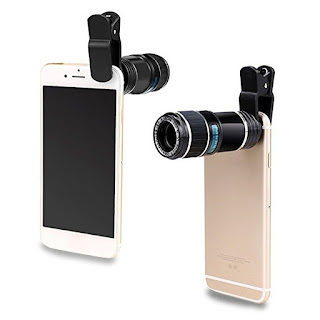 With its adjustable 8X-12X telephoto lens, quality of pictures will increase significantly as it will overcome the shortcoming of smartphones that can only take near-sighted photos - it's like taking superior quality photos like a pro! It attaches to almost all smartphones using its removable clip without leaving ugly marks or scratches on the device. Robust, simple to use, and a perfect score of '10' on the fun meter, this 24V Surge electric skateboard is guaranteed to get your kid off the couch and ignite their outdoor adventurous side. 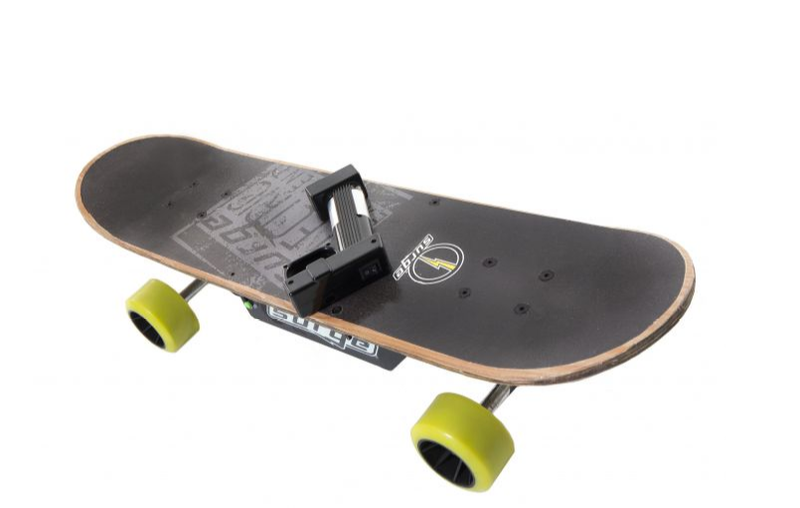 And because they'll be able to travel upwards of 5 miles on a single charge, they're guaranteed plenty of rousing fun under the sun every single day as they cruise around the neighborhood on this sleek looking black/neon skateboard. Key Features: The Dynacraft skateboard can reach speeds of up to 6 Miles Per Hour. It's intended for kids ages 8 and up with a max weight of 145 lbs. 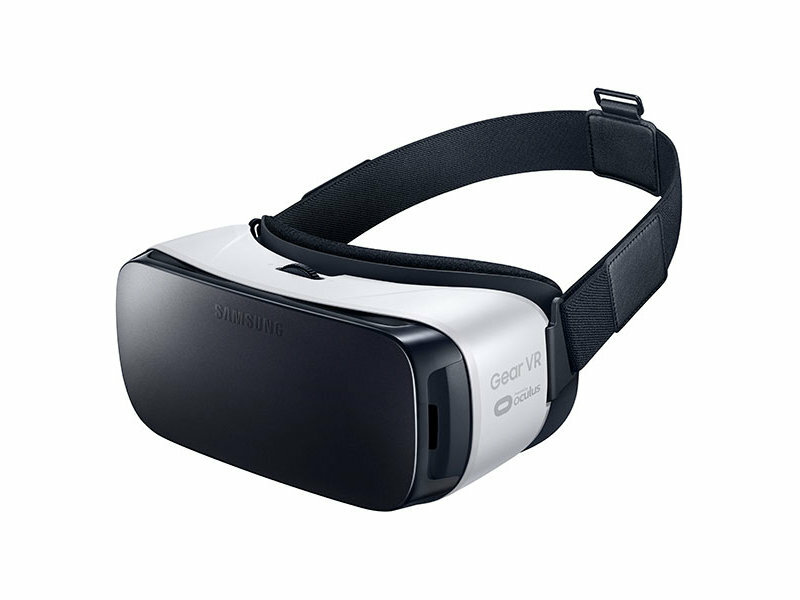 Mobile virtual reality is finally here. Watch movies in your own private cinema, be at the center of your favorite games, and socialize with friends in a virtual world all your own. The lightweight design and intuitive touchpad drop you right in the action and allow for hours of immersive entertainment. Key Features: Compatible with select Samsung phones. Purchase and watch hundreds of movies and TV shows from Oculus Video Plus, stream over 1 million short films and videos from Vimeo. Purchase and play premium games Plus, keep up with the best gamers in Twitch.